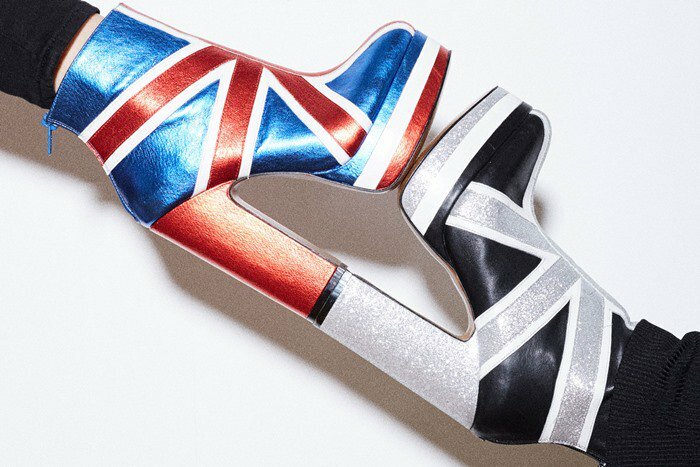 No matter where your allegiances lie, you can be a modern-day Britannia in this lustrous metallic bootie lifted skyward by a chunky red block heel and a striped rocker platform. It features a Union Flag design and rounded toe. You can order these patriotic platform boots today at Nordstrom and Nasty Gal. If not the Union Jack, which national flag would you like to wear? Let us know how you’d style them by leaving a comment below!